The Wheaton bubble joke is a popular one that frequently makes its way around campus. Escaped through the mouths of professors and students, it serves as a nod to our out-of-touch existence on campus. However, this playful campus-life idiom acts as a sort of microcosm to American tunnel vision. Getting caught up in day to day life, it becomes difficult to take a step outward and look in at all the privilege we as citizens of a first world country are allowed. President of Wheaton College, Dennis Hanno actively chooses to escape the American bubble through his biannual travels down to the continent of Africa. Photo of students who went on the Ghana trip. Hanno first found himself traveling to sub-saharan Africa in 2000 while he was working at the University of Massachusetts Amherst. He never looked back. Since then he has started his own non-profit organization, “Idea 4 Africa” and has continued returning twice a year with students ever since. Working consistently in countries such as Ghana, Rwanda, and Uganda, Hanno’s focus has progressed from being technology based -initially installing computer labs in schools, to having a strong focus on the teaching of entrepreneurship. The idea behind the teaching of entrepreneurship stems from Hanno’s belief in the core skills the practice encompasses, such as critical thinking, problem solving, and perseverance. “To me entrepreneurship is seeing a problem, figuring out what you can to do to solve that problem, and then figuring out how to make it sustainable,” he said. Through reaching the youth of Africa, Hanno hopes to instill a capability that will travel with them through life, enabling the growing strength of the continent through its people. 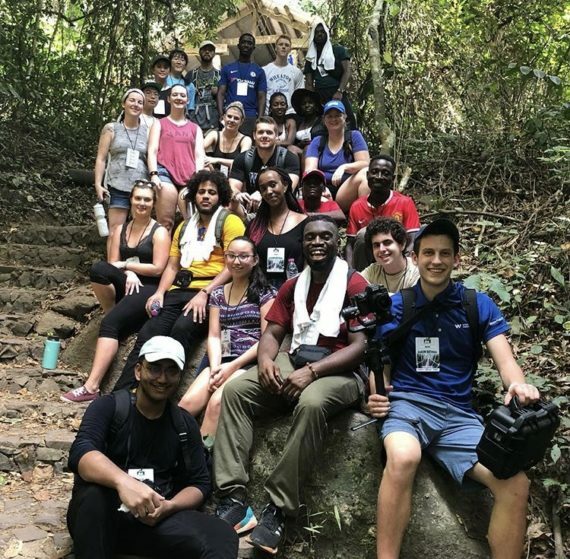 During winter break, Hanno and roughly 20 Wheaton students travel to the country of Ghana. During their time there they disperse among various high schools in the Sekondi-Takoradi area. They each work with a group of students to discuss the basics of entrepreneurship, realizing problems in their society and coming up with solutions and products to resolve them. Towards the end of the week, all schools in the area unite in a judged competition -attended by close to 1,000 people- for the best-developed product. The winning school is awarded with prizes and money, often accompanied by a reaction that makes the hard work of the week all worth it.